One week ago we asked for people touched by Alex’s story to send us their greatest take away regarding Alex and her story in 20 words or less. Thanks so much for your heartfelt response to What is your greatest take away? It is clear that Alex and her story have touched many lives and we are grateful to you for taking the time to share. We were overwhelmed by the number of emails we received. 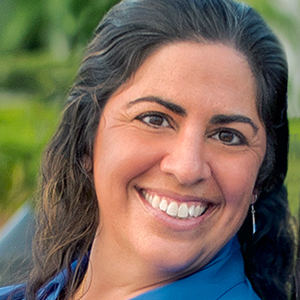 Alex is highly motivated to change this world for the better and to support children who are struggling. This year we will look for ways she can use what she has learned from her ordeal to help others. We welcome your ideas related to this endeavor. 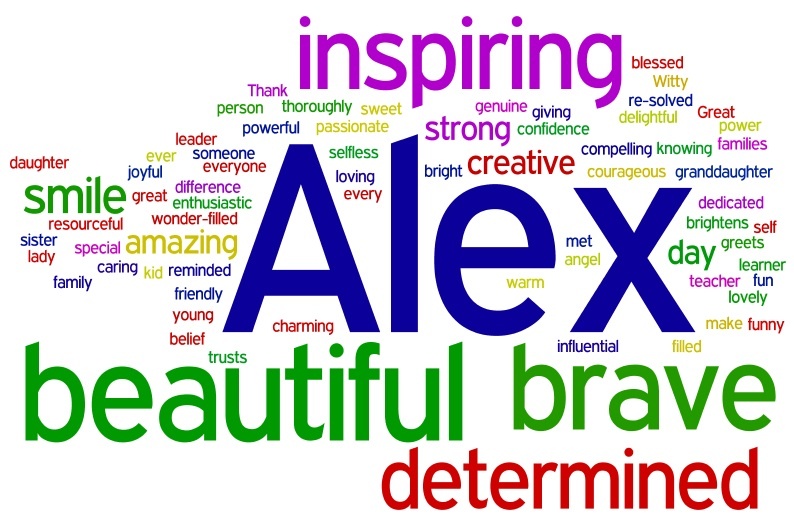 As promised we are sharing your words about Alex in a Wordle. I should have explained how a Wordle works earlier. Jessica and I created Alex’s Wordle at Wordle.net using the words you shared about Alex. We pasted those words into the app to create this Wordle. A Wordle is like a frequency display in that the words that are used to describe Alex most often are displayed bigger and bolder than the words that are used with less frequency. It helps to get a sense of the themes in what was shared. So here is your greatest take away regarding Alex and her story… thanks again for sharing. Looking at this Wordle just makes me think about what a wonderful person Alex is and how lucky she is to have such a supportive extended familythat finds ways to help her shine and appreciates how important she is to everyone around her. I feel very lucky to be a part of her extended family! Thanks so much. It is strange that we can feel “lucky” but we do too. Life is good.